Throughout history, raw milk has been the prime ingredient for great cheeses because of their unique flavor – the rich array of well-defined flavors and aromatics, the depth of complexity, and the unmistakable sense of uniqueness. When milk is cooked or pasteurized, many naturally occurring flavor-rich enzymes (the good bacteria) are destroyed or denatured by the heat, and the cheese loses that important flavor-building foundation. Additionally, raw-milk cheese imparts "terroir", that wonderful “taste of place”, that has the unique characteristics of the land in which the cheese is made. Since 1949, the U.S. government has forbidden the sale of cheese made from unpasteurized milk unless the cheese is aged at least 60 days. The 60-day ban is meant to protect consumers from potentially harmful pathogens. After 60 days, the acids and salts in raw-milk cheese naturally prevent listeria, salmonella, and E. coli from growing. 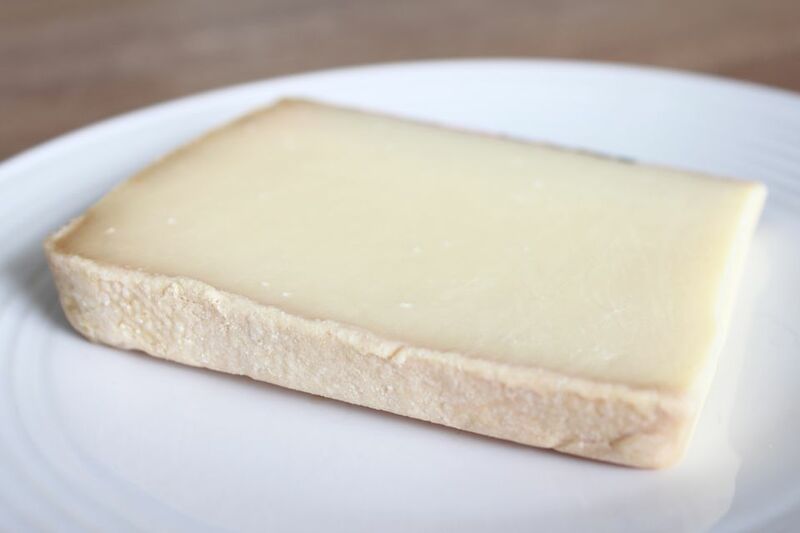 The Oldways Cheese Coalition is an organization that promotes traditional methods of cheese production, which includes using unpasteurized milk as well as aging cheese on wood shelves. They helped to successfully protect raw-milk cheeses from a complete ban proposed by the FDA in the 1990s. Some cheesemakers believe that using raw milk creates more flavorful and more healthful cheeses. Many cheesemakers believe there is no reason to be fearful of raw-milk and no reason to wait 60 days to eat cheese made from it. Decide for yourself by asking your local cheesemonger to share their favorite raw cheeses with you. Below is a very short, and admittedly very incomplete, list of some raw-milk cheeses found frequently in cheese stores in the United States. The best way to find raw milk cheese is to simply visit your local cheese shop. Check the label or talk to the cheesemonger; they're sure to have a few favorites in stock. Note: Some of the imported cheeses listed below (like Manchego, Gruyere, and Fontina) are sold in both raw and pasteurized versions.